“I have a responsibility to take care of those who are less fortunate and to make a difference in their life,” says Lara Kasbari after completing the four week U.S. State Department TechGirls program. 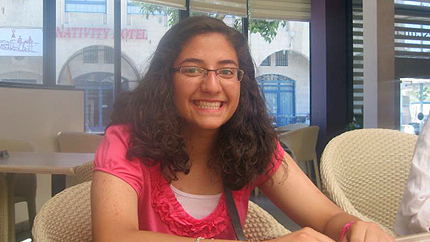 Hailing from Palestine, Lara was one of many girls in the program of Middle Eastern and North African descent who want to pursue careers in science and technology. As part of the program, Lara had the opportunity to visit technology giants like: the Federal Communications Commission, Google, and Facebook. Lara says TechGirls made her reevaluate the power of technology. Aside from technology, Lara thinks her stay in New York City and Washington, D.C.—though brief-- offered her a unique glance at American life. After returning to Palestine, Lara and a fellow TechGirl started a blog. With Tech Kids Lara hopes to help children who lack access to computers acquire basic computer skills. “Not having basic knowledge of technology can hinder a student’s ability to get into a university and consequently not getting a good job later in life,” says Lara. She’s learned that the sooner underprivileged children learn basic computer skills the better their life and future will be.